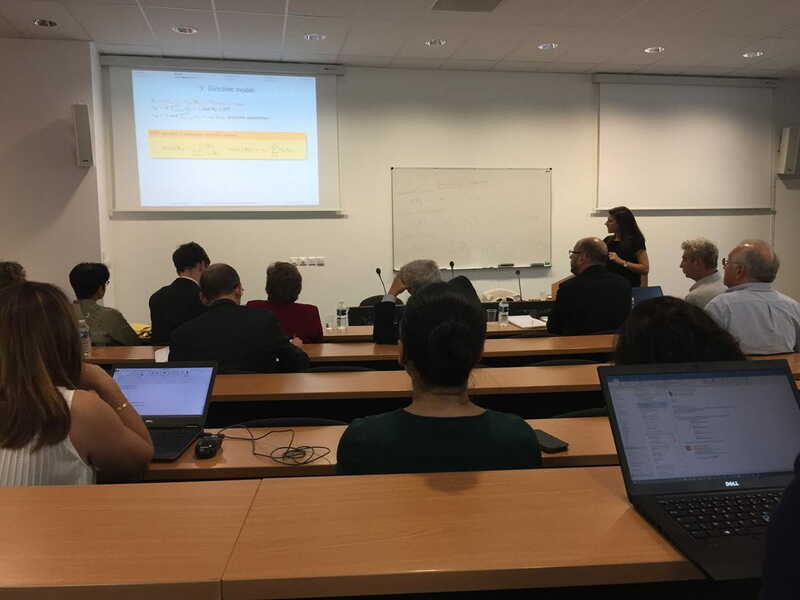 On the 20th of October 2017, Joanna Morais (Toulouse School of Economics) has defended her thesis, supervised by Christine Thomas-Agnan and Michel Simioni. The jury members were Vera Pawlowsky-Glahn, Karel Hron, Ron Kenett, Armelle Glerant, Philippe Devailly (Renault) and Hervé Tranger (BVA). The aim of this thesis is to measure the impact of media investments of several channels on the brands’ market shares in the French automobile market, taking into account the competition, the potential cross effects between brands and the lagged effects of advertising. Models coming from marketing and statistical literatures, in particular CODA, have been compared and combined in order to develop a performing model (with both response and explanatory compositional variables). An interpretation in terms of elasticities (relative impact of a relative change), directly on the market shares, is proposed. The link between Multiplicative Competitive Interaction (MCI) models and CODA models has also been highlighted, and an intermediate version of these models has been proposed. Joanna Morais is now continuing her research in parallel of her data scientist consultant position at BVA, in Paris.